To acquire a femto-second Pulsed Laser Deposition (PLD) setup for the epitaxial growth of oxide thin films (magnetics, multiferroics, topological insulators...) and associated hybrid heterostructures for spintronic. With the mastering of crystalline oxide-based heterostructures, new physical properties linked to the control of interfaces have been observed (giant/tunnel magnetorésistance , magneto-electric coupling, superconductivity…). In the "CALPHOSPIN" project we propose to develop hybrid organic/inorganic heterostructures using oxides as the ferromagnetic electrodes. 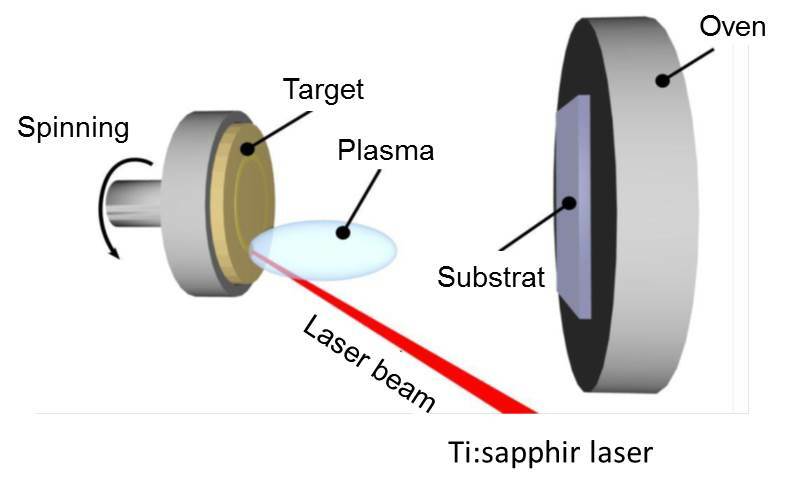 In order to control the interfaces, we intend to setup a new pulsed laser deposition (PLD) system for oxide growth connected to a chamber dedicated to the deposition of organic thin films. 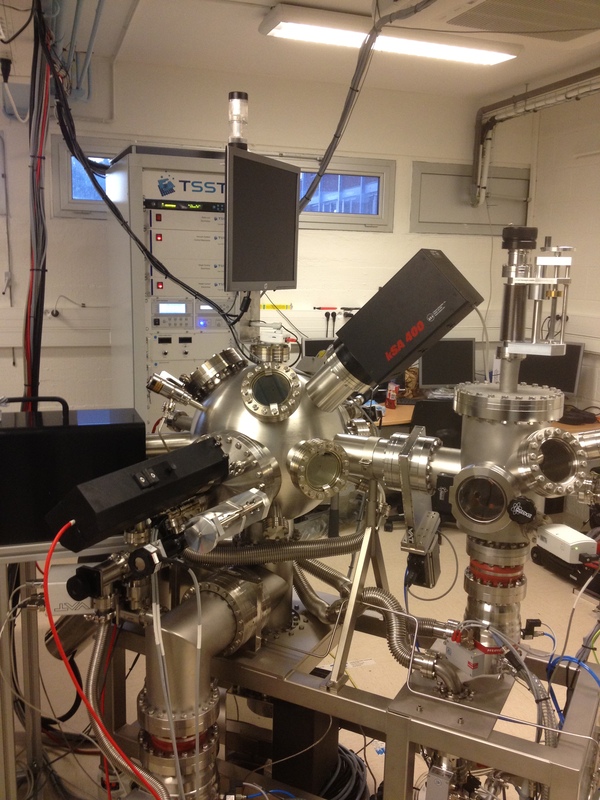 Both will (eventually) be equipped with in situ characterizations (XPS, LEED, AFM...). In this project, we will also choose the newest developments and acquire a femto-second laser for ablation. It appears that the short interaction time simplifies the understanding of the ablation process and prevents the interaction of the laser radiation with the generated plasma, hence globally enhancing the deposition quality. With the development of differential pumping systems, in situ characterization via reflection high-energy electron diffraction (RHEED) also offers the possibility to control the number of monolayers as in the molecular beam epitaxy (MBE) technique. By developing this hybrid PLD setup, we intend to explore different oxides and organic/inorganic heterostructures for spintronics. We propose also to focus on imaging magetic textures using the second harmonic generation (SHG) microscopy. SHG microscopy is a versatile technique wich allows us to access all details of a large variety of magnetic (especially antiferromagnetic) configurations. In conclusion, the OXyMORE grant will allow us to acquire a "state of the art" system of a femto-second Laser-MBE growth chamber linked to an organic deposition chamber and connected to an advanced characterization setup (SHG microscopy). This instrument has no equivalent in France and in Europe. With this equipement, we will be able to optimize the deposition of oxides and organic semiconductors thin films with very clean and controlled interfaces, an essential ingredient for spin-polarized transport.